I don't believe that Dr. Taylor intentionally made this woman suffer. I think he was simply blinded by his financial interest. He couldn't believe the screws he had implanted (and heavily invested in) could be causing harm. He had hundreds of thousands of reasons not to believe it. This does not explain, however, why Dr. Taylor kept his financial interests secret. I'll take a stab at explaining that. Perhaps he had confidence in his own ability not to be influenced by his large income from the medical device company and by the possibility that his investment in the company would pay off grandly if the screws proved to be successful in treating patients. He kept his financial dealings with the company secret because he didn't trust others to have confidence in him. And why doesn't UCSD crack down on its doctors who violate law and university policy in this manner? Perhaps because the doctors who are tasked with enforcing the rules are getting just as much money from outside companies as Dr. Anderson is. Dr. William Taylor got his medical degree from UCLA, whose medical school seems have particular problems with conflicts of interest. "It took longer to uncover some critical details that Dr. William Taylor, the surgeon, had not told the retired special education teacher or the university: He owned stock options worth hundreds of thousands of dollars in the company selling the spinal devices and had also collected six-figure annual fees from the same firm, the lawsuit said. Disclosure of such corporate payments is required by state law and university policy. "A lawyer for UCSD said Taylor did nothing wrong and denied that any patients were harmed. But the university last year paid Kitrosser $1.75 million to settle the case." Failing to report compensation from other sources leads to concerns about conflicts. Doctors eventually solved the mystery of why Brenda Kitrosser suffered from unrelenting pain after her back surgery at a University of California hospital in San Diego. A UCSD surgeon had implanted experimental screws and other hardware into her back, promising this would relieve her pain. Instead the devices pressed on her nerves endlessly, according to a lawsuit she filed later. It took longer to uncover some critical details that Dr. William Taylor, the surgeon, had not told the retired special education teacher or the university: He owned stock options worth hundreds of thousands of dollars in the company selling the spinal devices and had also collected six-figure annual fees from the same firm, the lawsuit said. Disclosure of such corporate payments is required by state law and university policy. A lawyer for UCSD said Taylor did nothing wrong and denied that any patients were harmed. But the university last year paid Kitrosser $1.75 million to settle the case. The controversy over Taylor’s undisclosed compensation is not an isolated case. The University of California has repeatedly failed to discipline medical professors who did not disclose payments from drugmakers and medical companies. Last month, after UCLA paid $10 million to settle a lawsuit that centered on undisclosed corporate compensation, the non-profit group Consumer Watchdog called on state Attorney General Kamala Harris to investigate how widespread the unreported payments have become. Officials at UCLA and UCI said they have recently increased efforts to make sure professors comply with the rules. UCLA doubled its compliance staff and hired a chief compliance officer. UCI’s chancellor directed all medical faculty to certify they were in compliance with reporting requirements and not engaging in unauthorized outside activities. Those changes came after a series of undisclosed compensation cases involving professors from across the UC system. In each case, the professors who received the payments were involved in promoting or encouraging the use of a company’s product at the same time they were treating patients. In all the cases except one, it was people from outside the university who discovered the undisclosed payments. • In a Los Angeles courtroom last month, Dr. Robert Pedowitz, the former chair of UCLA’s orthopedic surgery department, testified that administrators retaliated against him after he tried to get surgeons to report their corporate payments – including one doctor who said he had received $250,000 from a device maker for just 20 days of work. Just before closing arguments, UCLA agreed to pay Pedowitz $10 million to settle the case. The university said administrators did nothing wrong. 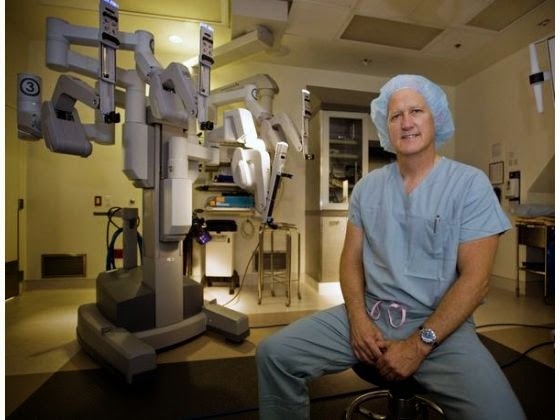 • At UC Irvine, Dr. Thomas Ahlering received more than $100,000 since 2002 from a company selling a surgical robot, but put most of that money in his nonprofit foundation without disclosing it, the Register reported last year. University officials say they have since required Ahlering to turn over $4,000 of that money to the school. • An investigation by U.S. Sen. Charles Grassley in 2009 found that UCLA spinal surgeon Dr. Jeffrey Wang had failed to report almost a half million dollars in compensation he had received from several companies. UCLA officials say Wang was required to turn over an undisclosed portion of that to the university. Although some of the professors were required to return a portion of their undisclosed pay to the university, it’s not clear whether the universities disciplined them in any other way. In Oakland, UC administrators said they have an obligation to encourage faculty to work with companies to develop new medicines and medical devices that can help the public. And they pointed to the policies that the university has long had in place to require faculty to disclose payments. Under state law, UC faculty who are leading research must disclose publicly any payments or gifts they receive from the companies or other parties involved in those studies. They must also disclose how much stock or stock options they hold in that company. Last year, a civil jury in San Diego Superior Court issued a verdict against NuVasive, finding that the company and UCSD’s Taylor had conspired to intentionally mislead patients considering spine surgery. The jury ordered the company to pay $3.1 million to Kitrosser. A judge later ruled that the $1.75 million that UCSD had agreed to pay could offset the verdict against NuVasive. The company was also ordered to pay court costs. NuVasive has appealed the verdict. Neither Taylor nor a NuVasive spokesperson responded to phone calls or emails seeking comment. Thomas Lotz, a lawyer who represents UCSD, said Taylor never got the chance to fully tell his story in court. Taylor has not exercised the stock options that were revealed by the lawsuits, he said. UCSD settled the case, Lotz said, to avoid a lengthy legal fight. Carr, the UCSD spokesperson, disputed that, but said she could not explain further because personnel matters must be kept private. After the state Fair Political Practices Commission fined Taylor $12,000 in 2011 for failing to report his compensation from NuVasive as required by state law, UCSD officials called it “an administrative error.” They said then that they planned no further action against him, according to a report in The Guardian, the campus newspaper. 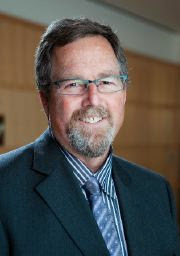 Dr. James Doty, a clinical professor at Stanford, testified that Kitrosser should not have had the surgery that Taylor performed in 2008 because she suffered from a high-degree of scoliosis, an abnormal curvature of the spine. Doty said that Taylor had an ethical duty to tell her about his financial relationship with NuVasive. “It’s a big problem,” Vaage said of the large payments received by Taylor and other surgeons. “It’s something the public needs to know about.”...Read more HERE. A University of California San Diego neurosurgeon and professor has been fined $12,000 by the state’s Fair Political Practices Commission for failing to report his economic ties to a company that was funding his research project. Dr. William Taylor, a specialist in minimally invasive spinal surgery at the UCSD Medical Center, did not disclose that medical device company NuVasive Inc. was providing funding for his research projects. Taylor could not be reached for comment Wednesday. To the FPPC, he indicated he did not intend to keep information from the public and did not deliberately omit his income from NuVasive on his state- mandated statements of economic interest. He later took corrective action including discontinuing his participation in two projects. Taylor was the principal investigator on four medical research projects that were being funded by NuVasive. In one case the company, based in Sorrento Valley, was providing $16,821 for Taylor’s project. Three other projects received an undisclosed amount. Taylor taught workshops on behalf of the company and provided services as a consultant regarding product development. He was quoted in The San Diego Union-Tribune last year as a specialist talking about the advantages of the NuVasive system.